Big Bear, California is a top destination for many tourists across the country. Nestled in the San Bernardino Mountains, this beautiful area features a plethora of plants, towering trees, and wildlife of all shapes and sizes. Beyond its natural beauty, Big Bear is located near some of California’s most famous wineries. A great way to see these wineries is through Rockin’ Wine Tours in Temecula, CA! Rockin’ Wine Tours take you on a journey throughout a few of the top wineries in the Temecula area. This tour has been rated the “Most Fun” wine tour in all of Temecula! One of the main reasons this tour is so enjoyable is because unlike other wine tours, your experience is tailored to your private group of eight or more of your family or friends. No more jumping on large, hot busses full of strangers. At Rockin’ Wine Tours in Temecula, CA, you and your private group will ride in style to each winery in your own limousine or party bus! Another great accommodation that the Rockin’ Wine Tours provides is local pick up for you and your party anywhere in the Temecula valley. On each commute, you and your group will be served champagne by your fun, interactive tour guide who will ensure that everything is going smoothly and make your time on the Rockin’ Wine Tour a memorable experience for your entire group. The tour will include a stop at three wineries with interactive tastings at each as well as a small appetizer of cheese and crackers between stops one and two. A VIP lunch will also be included at one of the wineries, where you and your group can enjoy deli sandwiches with a side of potato or pasta salad as well as a tasty dessert in the heart of the beautiful California wine country. These tours are available seven days a week starting at 10:30am. The tour usually lasts between four and five hours and includes wine tasting at three premier wineries local to the Temecula area. For those who may enjoy a later start time, on Saturdays Rockin’ Wine Tours offers tours starting at 4:30pm. On this tour you will be able to enjoy all your wine tastings as the evening sun begins to set painting the sky with deep beautiful colors. These tours are amazing for any occasion. Rockin’ Wine Tours specializes in birthday parties, bachelorette extravaganzas, and company team building tours among others. Once you have decided to take this amazing tour, the staff at Rockin’ Wine Tours in Temecula, CA will decorate your tour vehicle to match the theme of the occasion to make the experience just a little more special! You can book this tour by going to www.rockinwine.com and clicking the book a tour tab. The professional staff will then get back to you usually within 24 hours of your request! The price for the tour varies based on the day of the week, amount of people in your group, wineries visited, etc. You can also find a list of all 35 wineries on the Rockin’ Wine website listed above. After a long day of tasting delicious wines, it is imperative that you have a nice comfortable place to return to and decompress. 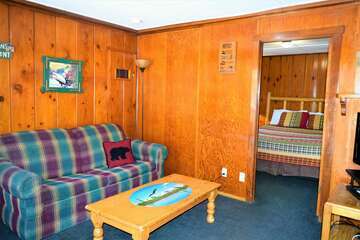 There are many options for lodging, but Big Bear Cabins can provide you with a cabin specific to your needs. There are many luxury cabin options to choose from. 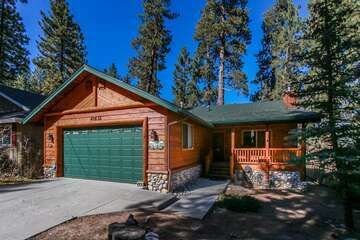 Whether you are looking for a large or small cabin, something pet friendly, something in the mountains or something on the lake, Big Bear has cabins to fit any need. 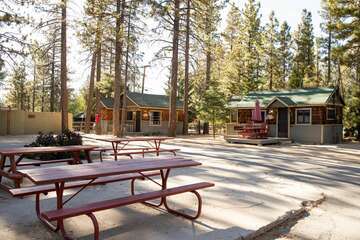 We pair these abundant options with unbeatable service and reasonable prices, making these cabins a must-stay when visiting Big Bear. Contact us today to book your stay!